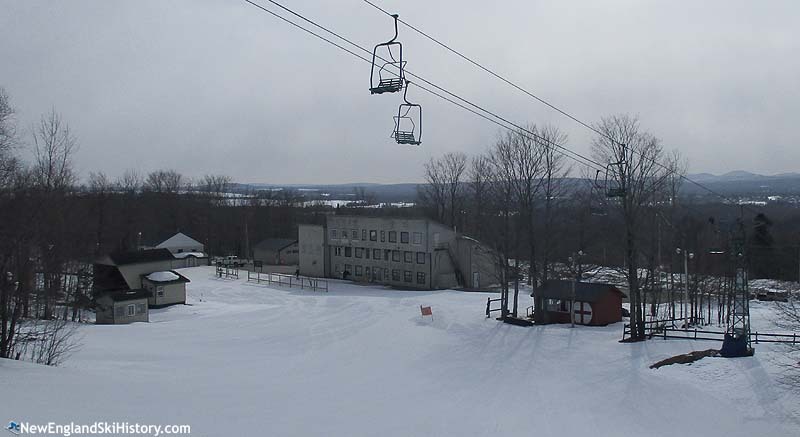 Located on the west face of 1,748 foot Mars Hill, Big Rock is the northernmost chairlift served ski area in New England. Lift served skiing on Mars Hill likely dates back to early 1961, when Mars Hill Skiway opened as a 615 vertical foot Pomalift served ski area. The area received publicity from the New York Times during its first full season, 1961-62, when it was noted the hilltop was the first place in the country to receive sunrays from the rising sun for much of the year. A new beginner slope was constructed for the 1966-67 season. Wendell and Marie Pierce's Ski Way of Aroostook, Inc. was registered as a Maine corporation in October of 1967, taking over the ski area that year. Soon thereafter, Mars Hill Skiway likely became known as Big Rock. The upper mountain of the ski area may have become lift served with the installation of a Poma lift in 1978. Around this time, the Pierce family acquired Burnt Meadow Mountain in western Maine, operating it for a few seasons before it closed. After decades of surface lift service, Big Rock installed a Mueller double chairlift from Evergreen Valley, ME as its summit lift for the 1993-94 season, making it the northernmost chairlift served ski area in New England. After over a quarter of a century of ownership, the Pierces looked to sell Big Rock. In the fall of 2000, Maine Winter Sports Center purchased the 290 acre Big Rock Ski Area, thanks in large part to a $1.5 million grant from the Libra Foundation. Immediate improvements included more parking, a better access road, and a new 1.5 mile trail. 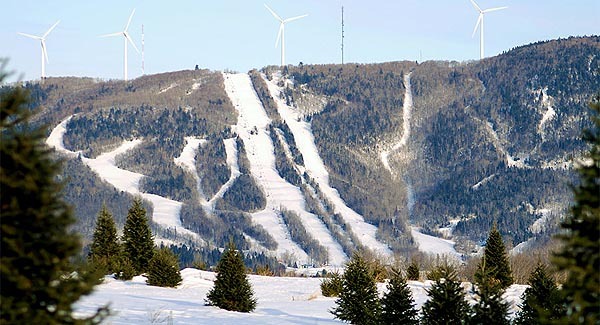 Both snowmaking capabilities and night skiing terrain were expanded for the 2002-03 season. An additional $1.2 million from the Libra Foundation was invested in Big Rock for the 2004-2005 season, headlined by the installation of a new beginner Doppelmayr triple chairlift and a Magic Carpet surface lift. A $40,000 tubing park was opened for the 2006-07 season. The 5 acre slope was served by a handle tow. Meanwhile, the $55 million Mars Hill Wind Project constructed on the summit ridge of Mars Hill, beginning operation in 2007. 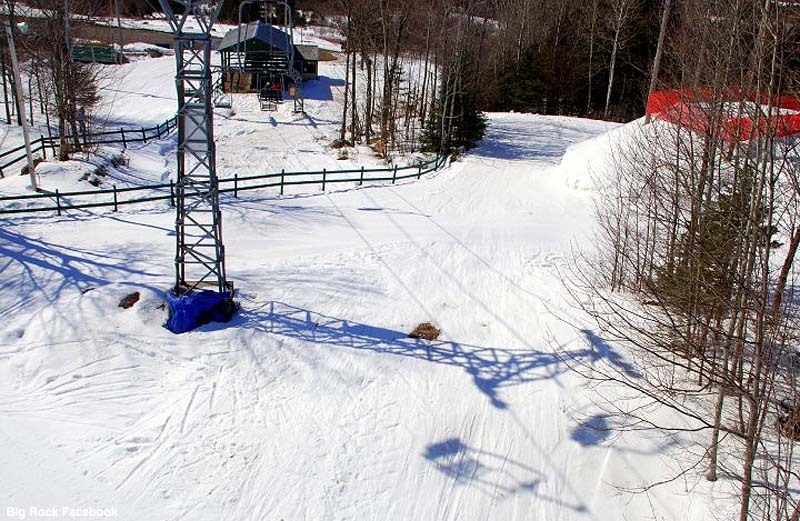 In June of 2013, Maine Winter Sports Center announced its intentions to close Big Rock and Black Mountain and thus exit the alpine ski business. Black Mountain was subsequently transferred to a local non-profit, thereby avoiding closure. Meanwhile, fundraising efforts began during the summer of 2013 with the hopes of generating enough money to keep Big Rock open. That fall, Maine Winter Sports Center transferred the ski area to a local non-profit organization, which was able to keep the mountain open. "The area is still very much alive and operating."